If someone rear-ends your car at a stop sign or backs into it in a parking lot, you’re pretty confident that someone’s insurance – yours or theirs – is going to pay for the damage. 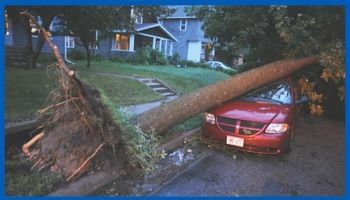 But what happens if a bad storm causes a tree to fall on your car while it’s parked in your driveway? What if a rock shatters your windshield? 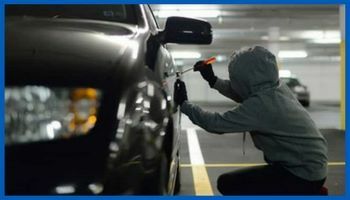 What if your vehicle is vandalized or even stolen, or parts of your car are stolen? What if it catches on fire, or is involved in a natural disaster, etc.? Will you have to pay for that damage out of pocket? Comprehensive insurance is insurance coverage that protects your car from damage that doesn’t happen as the result of a collision. To find out what your comprehensive insurance covers, speak with your agent. Two main reasons you may need Comprehensive Coverage. 1). Many lenders or lease holders require that you have comprehensive coverage; after all, they have a vested interest in making sure that your vehicle is well maintained. 2). For you. If don’t have the desire to replace or repair your car if something happens to it, comprehensive coverage has the potential to save you a lot of money. But do you need it? The answer to that question will depend on your unique situation. If you’re not required to have comprehensive insurance, then you need to decide how much you’ll benefit from coverage. Nevadan’s are not required to have comprehensive coverage, so it may be very tempting to save money by not adding it to your insurance policy. It may not be right for everyone, because the value of their car is so low, or if they don’t have an auto loan, maybe they have the cash to buy a new car and want to save the money each month. It may be that the money spent on comprehensive coverage wouldn’t mathematically make sense to pay the increased cost on the policy to cover a car with low value. In these scenarios, it may make sense to leave it off your policy. However, this could be a costly mistake if you own a car that has any kind of value. We suggest you think twice about that decision. Comprehensive insurance is often a smart investment that can protect you from hundreds or even thousands of dollars in costly repairs, and worst case, replacing the whole car on your own. To many of us, the word “comprehensive” seems to suggest that everything is covered. However, when it comes to auto insurance, that isn’t the case. There are a few things, like collision damage and hospital bills, that your comprehensive insurance will not cover. However, comprehensive coverage does take care of a lot that collision coverage doesn’t. Here are a few things that comprehensive insurance will generally cover. If your car is damaged in a hailstorm, a windstorm, tornado, or any other weather-related incident, comprehensive coverage will ensure that your car is repaired to the condition it was in, prior to the incident. If your car is totaled, then you’ll receive a check for its value. Water damage can destroy your vehicle’s upholstery and mechanical parts. In fact, flooding can easily total a vehicle. 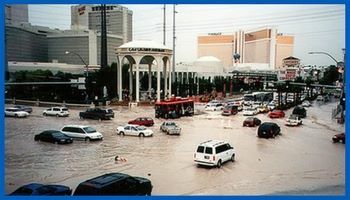 Las Vegas residents should be aware of potential flood damage that happens fairly often, and is a problem that they could potentially deal with. According to the National Flood Insurance Program, 20% of flood claims come from low or moderate-risk regions. Roadside car fires are not terribly uncommon, but unless you have comprehensive insurance, you’ll be paying for the damage yourself. You may assume that if you “collide” into an animal, then that accident will be covered by your collision insurance. However, that’s usually not the case. Comprehensive insurance will cover any damage that would result from hitting an animal. 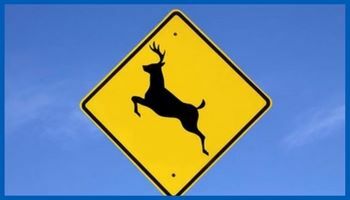 If you swerve to avoid hitting the animal, and then have an accident and don’t hit the animal, that would be a collision. Smashed mirrors, scratches, dents and slashed tires; unless you have comprehensive coverage, then these acts of vandalism will be yours to cover. If your car was stolen tomorrow or if someone broke into it and stole your sound system, would you have the funds to replace it? Comprehensive insurance covers theft, ensuring that if you are a victim, you won’t have to pay for the entire cost of replacement. Choosing the deductible that you can comfortably afford is an important part of creating a policy that is right for you. While it may be tempting to save money each month by selecting a high deductible, keep in mind that this is the amount you will have to pay if you have a claim. In other words, if you have a $2500 deductible and $1800 in damages, your insurance won’t help you at all. Adding comprehensive coverage to your auto insurance policy is a great way to protect yourself from costly repairs. Speak with your agent to find out if comprehensive coverage is right for you. 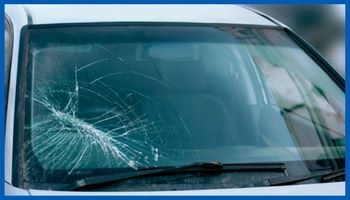 Needing a windshield or glass repaired or replaced can happen at any time. Comprehensive coverage OR a special “glass coverage” may be available to be added to your policy, to help protect you against the cost of having to repair or replace a windshield or window on your car. 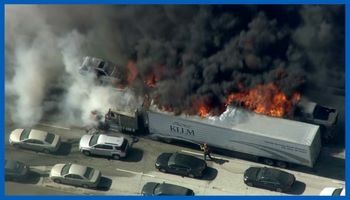 Ask your agent about this coverage for your policy. This is especially important if you are concerned that replacement costs would be high, and understand that your deductible is a factor to consider. Sometimes the deductible on your comprehensive is so high, that you’ll pay the full amount of the glass repair on your own.